Leading Manufacturer and Supplier of Rubber Tubes such as Silicone Rubber Tube, Nitrile Tube, Silicone Transparent Tube and Nylon Tubes from Mumba. 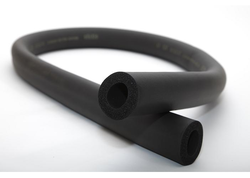 We are highly appreciated by the national as well as international clients for offering a wide array of Rubber Tubes. The range offered by us is manufactured using high-grade materials and components, so as to ensure their high material strength. Furthermore, in order to cater to the numerous demands of our clients, we offer these tubes in a number of dimensions, sizes and other specifications. We are a trustworthy business organization; which is actively manufacturing, exporting, wholesaling, trading and retailing optimum quality Nitrile Tube. The tubes we offer are made at par with the defined industry norms and standards, making use of premium quality rubber. To ensure high material strength of our offered products, these are checked for their tensile strength at our base. Being a customer focused organization, we are facilitating clients with a broad series of Nylon Tubes. Each tube in this range is manufactured using high quality material. Reliable in nature, these products eliminate static electricity, which ensured complete safety of employees and workers from high voltage machines and equipment. Durability, tough design and high material strength are the striking features of our range for which clients demand these over others. We are engaged in offering a premium quality range of Silicone Rubber Tube. 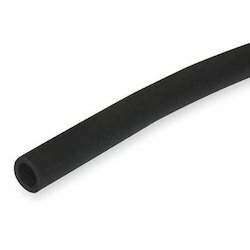 These Silicone Rubber Tubes are widely demanded because of their high tensile strength and durability. These are manufactured using the finest grade silicon rubber and high-end technology. Silicone Transparent Tube offeredcan be made available by us in different finish specifications in the soft transparent finish as well as in superior grade silicone rubber material so as to provide for optimum functional usage. Some of its features include constructed using soft transparent silicone rubber material; smooth extruded silicone rubber finish; available in colours like red, green, yellow and others; suitable to be used in lighting, household app colours electrical heating equipment and others.